Hi y’all! The loveable and charismatic Patty Mayonnaise here, and I just moved from Bluffington and am ready to find my new home here in the PNW! 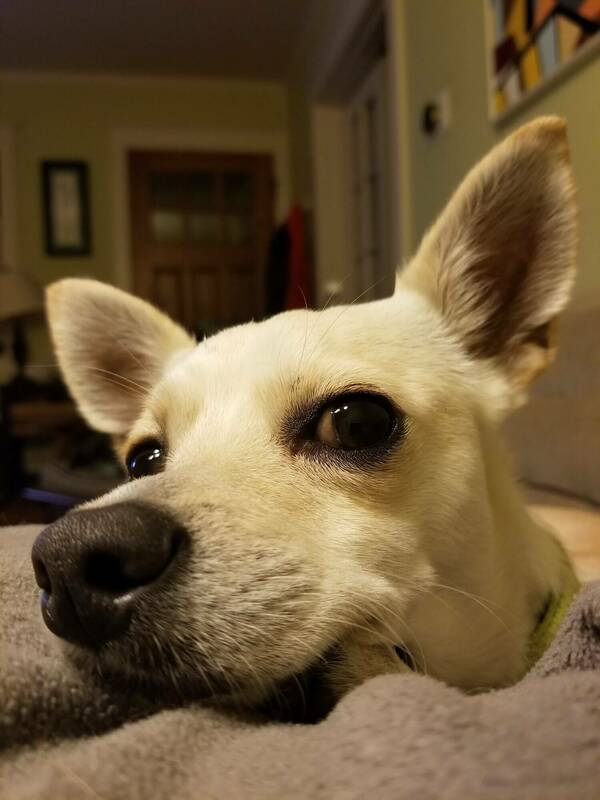 I am a 3 year old terrier/chihuahua mix weighing in at 13.5lbs. Just like my “Doug” TV show counterpart, I am a sweet and adorable lady can be a little shy around new people at first, but quickly opens up after a few tasty hotdogs-or even tangerine slices! Yep, you heard right. My fosters say that tangerines are my all time favorite snack. Once I open up, I really am a playful pup! I have a nice medium energy that will play a nice round of fetch in the yard with my favorite toys or a nice walk around the block, and then snuggle in close while we watch our favorite night time shows. I prefer my adult humans to my doggy friends and like to be the star of the show. Though I am currently in foster with a kitty, so a cat in the home is fine by me! Oh, and did I mention I love wearing my doggy outfits? Especially during this cold weather! So let’s grab our favorite sweaters and go for a nice walk today! Fill out an application today, so we can meet. I come to you vaccinated, spayed, and micro-chipped with an adoption fee of $350.